Does your HTML5 video converter create flash fallback videos for Firefox? 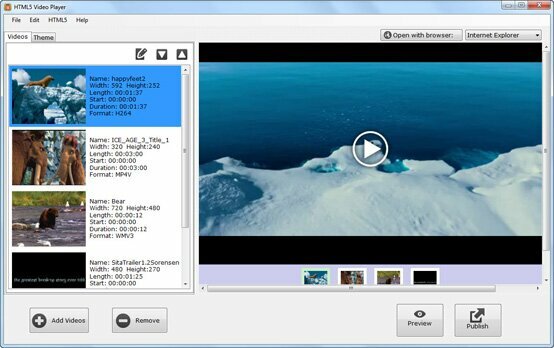 Since the first version of the HTML5 video converter, Firefox flash fallback feature was built in. All old browsers without HTML5 support will still be able to play the video player, the flash video will be loaded other than the HTML5 video. Although there seems reach a consensus among the majority of webmasters that HTML5 video is vastly superior to all other forms of video playback for online content, such as Flash. Still many websites are using Flash videos. If you are searching for html5 video software that can create html5 videos with flash player fallback and post it online, this is what you are looking for.